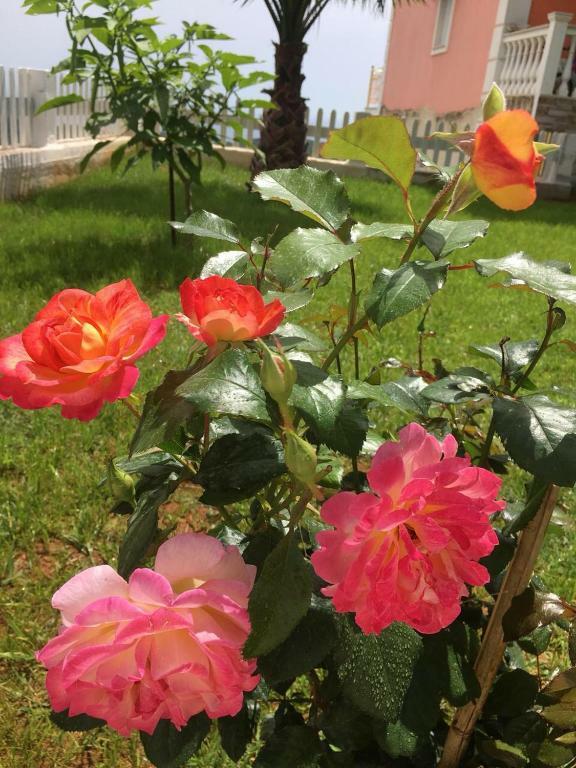 -Fantastic view -Excellent hosts -Clean -Comfortable -Breakfast in room -Although it is located 5min drive away from the center of Parga we enjoyed a lot staying in an isolated area and driving to town when we needed. The hotel is in a wonderful place with spectacular views. Although our visit was outside the tourist season, there is a nice beach nearby. The hosts are very, very kind and hospitality. They did everything to make our stay magical. They told us what sights to look around. The room is large and has all the amenities. The cleanliness in the entire hotel and in the rooms is very high. The town has incredible charm and sights. Visiting this place is also wonderful outside the tourist season, as time is very enjoyable for long walks. Thank you for amazing staying. We will definitely visit this place again. 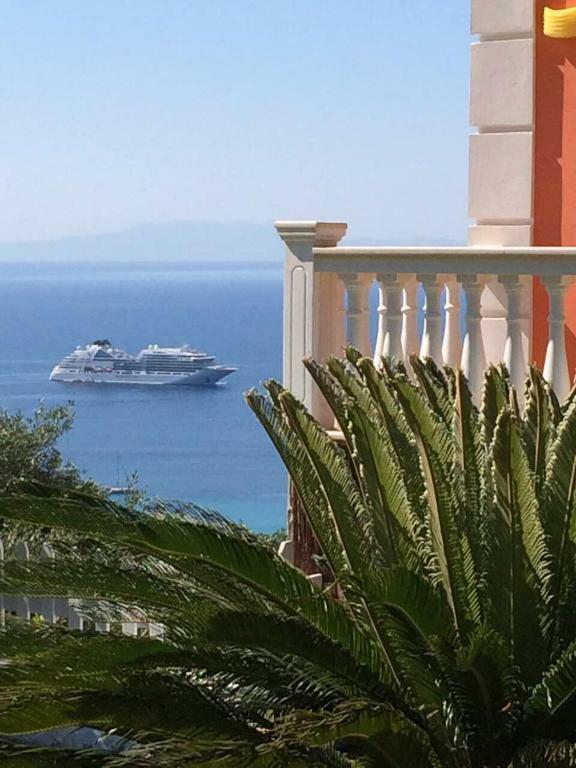 Studio Konstantinos is a very nice place, very friendly owners and team, clear rooms, well equipped kitchenette, delicious breakfast and wonderful view. Good parking and the location - next to the seaside small road - is good to visit beaches, friendly restos. Parga and the surrondings is unique, recommended to everyone! Thank you Kostas, Liliya and theirs daughter!!! The place was very clean and well kept. The view was just beautiful. The property is right inside the nature (with the related disadvantage of the visit of some weird insects). The idyllic, peaceful villa to enjoy. The garden has a beautiful lawn and a lot of flowers. Swimming pool and sunbeds are perfect. A small river runs and murmurs next yard. Beach Valtos is near to the house. The beds are very comfortable. The host is very polite, creating a friendly atmosphere. 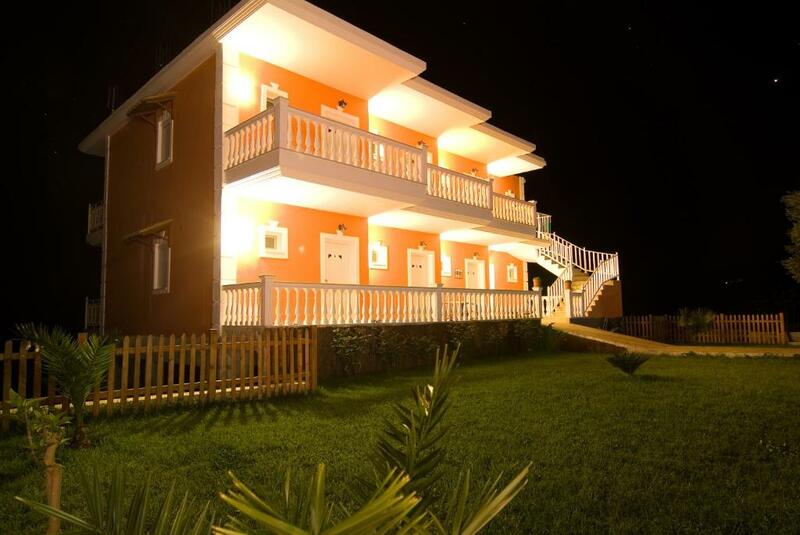 These are new, fully equipped studios located above Valtos beach. 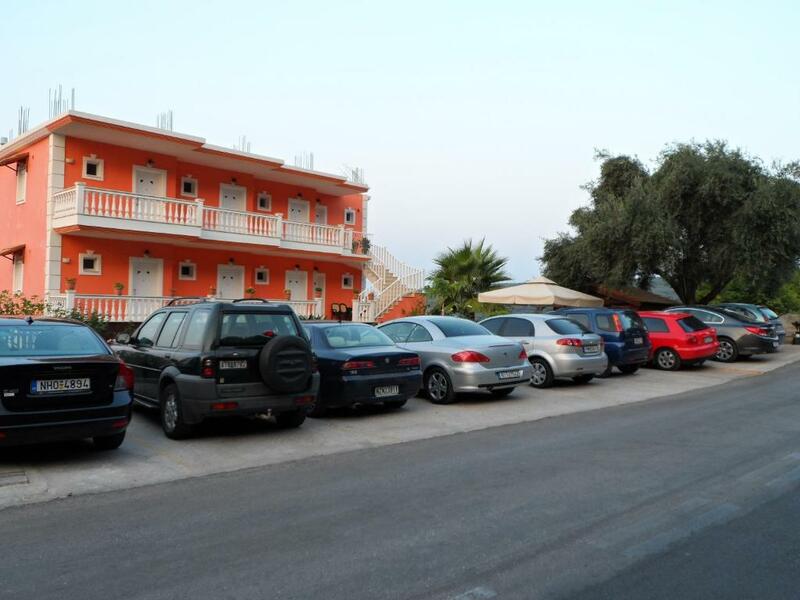 Parking place is granted and this is very important since finding parking place can be quit a problem in Parga. Owner is very polite and helpful and really tries to make your holiday better. He even organized complimentary cruising for his guests. Studios are cleaned daily and everything is perfectly clean. Breakfast is also excellent. A very very clean and quiet location, the perfect place to relax. Hosts of a flawless hospitality, kindness and discretion. In a word, PERFECT ! Thank you, Kostas, Liliya and Polyna !!! 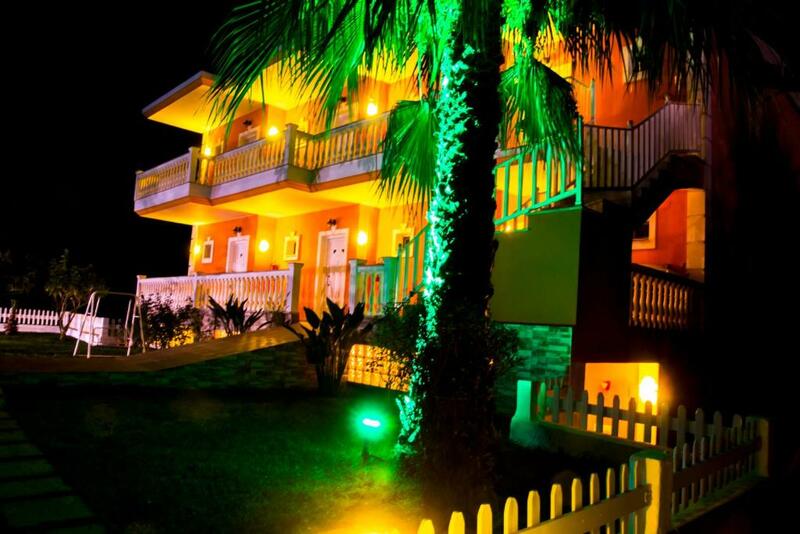 Lock in a great price for Studio Konstantinos – rated 9.5 by recent guests! One of our best sellers in Parga! 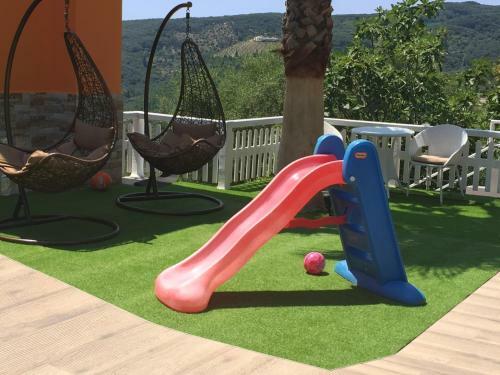 Enjoying an elevated position, in the area of Parga, Studio Konstantinos offers tastefully decorated accommodations with free Wi-Fi and a furnished balcony overlooking the Ionian Sea. It has a bar and it is 0.9 mi away from the town center. 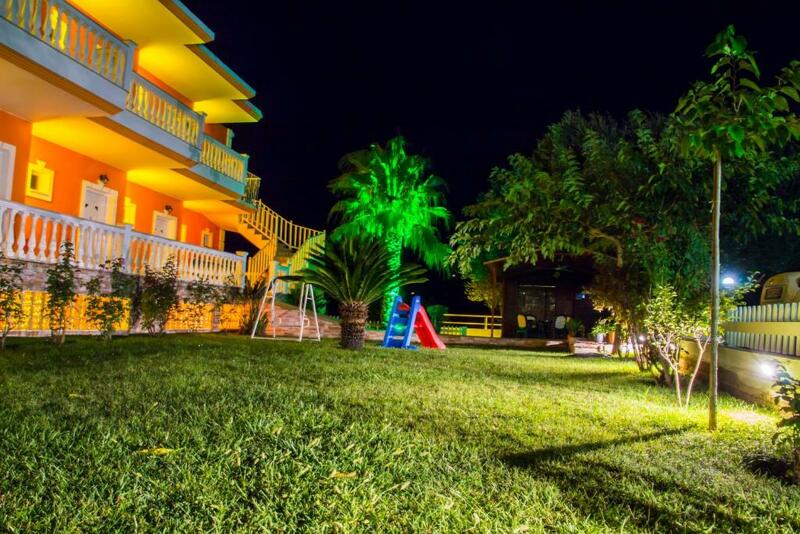 Konstantinos studios feature wooden furnishings and have a spacious private bathroom. They come with a dining area and a kitchenette equipped with mini oven and fridge. Other facilities include a TV and air conditioning. Within around 4.3 mi, guests can visit the beaches of Agios Giannakis and Karavostasi, while Valtos Beach is at 0.9 mi. Sarakiniko beach is at 1.9 mi. Free private parking is available on site. When would you like to stay at Studio Konstantinos? This studio features a mini-bar, washing machine and balcony. House Rules Studio Konstantinos takes special requests – add in the next step! Please note that breakfast can be served in the room upon request. Please inform Studio Konstantinos of your expected arrival time in advance. You can use the Special Requests box when booking, or contact the property directly using the contact details in your confirmation. A bit far from the city center and beach. The bed was not really comfortable and a plastic undersheet in our bed made things worse, noisy and sweaty. The fridge was really noisy. A bit detached from the town. 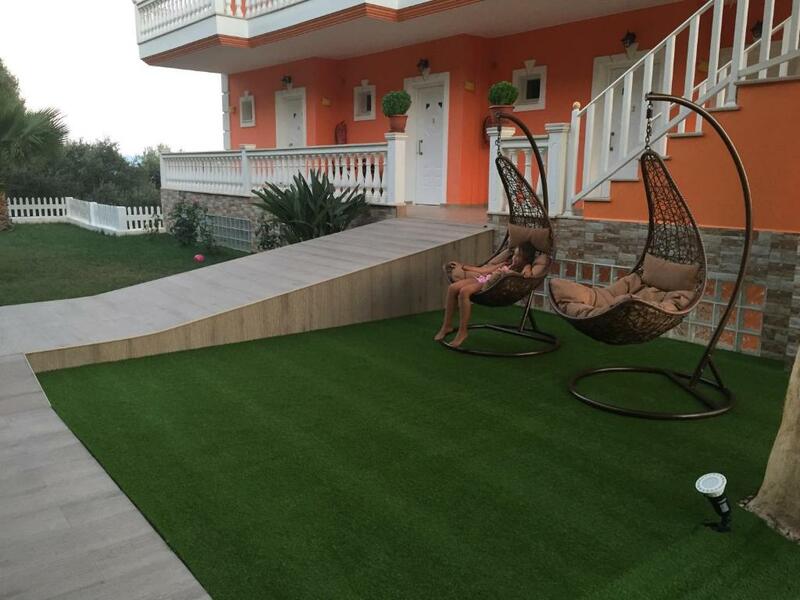 Wonderful view, comfortable yard, good WiFi. Excellent view, clean rooms , very good hospitality !!!!! Everything was in order, there was nothing out of order, very clean and modern. 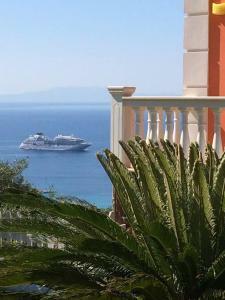 Everything was perfect - owners, breakfasts on the terrace with beautiful sea view, apartment and weather.